Americans consume an average of 20-30 teaspoons of sugar each day. That equals eating a pound of sugar every three days. This over consumption of sugars, including table sugar (sucrose) and high-fructose corn syrup, has dramatically increased over the last hundred years and correlates closely with a rise in diabetes. According to the Center for Disease Control (CDC), more than 29 million Americans are living with diabetes, and 86 million are unknowingly living with prediabetes, a serious health condition that increases a person’s risk of type 2 diabetes and other chronic diseases. Over consumption of sugar puts significant stress on the beta-islet cells of the pancreas. These are the cells that produce insulin, the hormone required so your cells can absorb sugar and turn it into energy. With so much excess sugar to process, the mitochondria of these specialized pancreatic cells are overly stressed, begin to burn out and then die. When this happens, your cells can no longer healthfully process dietary sugars and they begin to back up into the bloodstream. Insulin resistance, the hallmark of Type 2 diabetes, is at least in part related to the inability of liver and skeletal muscle to process fatty acids at the mitochondrial level. Ongoing damage to mitochondria of insulin-sensitive cells, along with progressive impairment in the mitochondria of beta-islet cells, can lead to both insulin resistance and impaired insulin secretion. Dr. Robert Lustig, a pediatric endocrinologist at UCSF Medical Center, equates the effect that sugar has on the health of mitochondria as similar to the process of brewing wine. Wine comes from the fermentation of sugar. In wine production, added yeast performs the first step of metabolism called glycolysis. But in order for the body to process sugar, it is necessary for us to perform our own form of glycolysis. When the pancreas gets overtaxed, it converts that extra sugar into fat which can collect in the liver and lead to liver inflammation and dysfunction. Most recently, researchers at Yale School of Medicine discovered that mitochondria in a small set of neurons in the brain might even be responsible for the spike in blood sugar levels that occurs after a meal. The team was surprised to find that mitochondria not only “sense” the change in circulating glucose levels, they also make adaptive changes crucial to the body’s ability to handle sugar in the blood. “We found that when sugar increases in the body, mitochondria in some brain neurons rapidly change their shape and their function is altered. These findings imply that alterations in this mechanism may contribute to the development of metabolic diseases such as type 2 diabetes, in which the body is not able to clear high levels of sugar from the blood,” said senior author Sabrina Diano, professor in the school’s departments of obstetrics, gynecology and reproductive sciences, neurosceince, and comparative medicine. In order to protect your mitochondria from insulin resistance, it is necessary to limit your sugar intake to less than 10 teaspoons per day. Children should not consume more than 3-4 teaspoons a day, depending on age. Keep in mind that hidden sugar is lurking in many packaged and processed foods. Aside from avoiding sugary drinks and desserts, choosing whole grains is one way to reduce the ill effect of refined carbohydrates. The bran and fiber in whole grains make it more difficult for digestive enzymes to break down the starches into glucose. This leads to lower, slower increases in blood sugar and insulin. In contrast to refined (white) bread, rice, cereals etc., whole grains are also rich in essential vitamins, minerals, and phytochemicals that may help reduce the risk of diabetes. If Type 2 diabetes is in fact related to a burning out of the insulin-generating cells of the pancreas, supporting your mitochondrial health by taking a high potency mitochondrial support multivitamin each day could be helpful. Omega-3 vitamins are a popular dietary supplement most often used to improve heart health and regulate cholesterol triglyceride levels. Now researchers have found that they also support mitochondrial health and can help prevent type 2 diabetes by counteracting the effect of free radicals in the body. Free radicals are the by-product of toxins such as processed foods, cigarette smoke, environmental toxins and recreational and prescription drugs. It is impossible to eliminate all free radicals in the body and some free radicals are actually created in the body to fight off disease. The problem occurs when the body is unable to neutralize the build-up of these toxins. This causes oxidative stress leading to mitochondrial dysfunction and eventually to degenerative diseases. Studies have correlated the incidence of type 2 diabetes and obesity with mitochondrial dysfunction. Diabetes is one of the most common chronic diseases in which antioxidant capacity changes. Antioxidants are substances that can halt the damage of free radicals. They are found in antioxidant-rich foods including fruits and vegetables that are high in the nutrients vitamins A, C and E, beta-carotene, lutein, lycopene and selenium. In diabetes, levels of free radicals increase and the level of antioxidants decrease. Omega-3s have been found to reduce free radicals and increase antioxidant enzymes in this group. Omega-3 fatty acids are a type of polyunsaturated fat that reduce oxidative stress by increasing the body’s capacity for antioxidants. Omega-3s are derived from either fish or plant sources, and can be found in supplement form. Foods that contain the highest amount of total Omega-3 fatty acids are flaxseeds and flaxseed oil, fish and fish oil, walnuts, seeds, and avocadoes. Omega-3s are quickly absorbed into mitochondrial membranes following supplementation. Since weakening of the antioxidant system can cause diabetes and supplementation with omega-3s can increase antioxidant capacity, consumption of omega-3 supplements are recommended as primary prevention and secondary prevention of diabetes complications. Hajianfar, H., Paknahad, Z., & Bahonar, A. (2013). 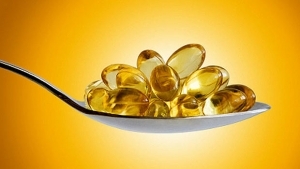 The effect of omega-3 supplements on antioxidant capacity in patients with type 2 diabetes. International journal of preventive medicine, 4(Suppl 2), S234. Herbst, E. A. F., Paglialunga, S., Gerling, C., Whitfield, J., Mukai, K., Chabowski, A., ... & Holloway, G. P. (2014). Omega‐3 supplementation alters mitochondrial membrane composition and respiration kinetics in human skeletal muscle. The Journal of physiology, 592(6), 1341-1352. In a recent study published in the journal, EBioMedicine, researchers showed that patients who suffer from diabetic nephropathy (DN) experience mitochondrial DNA changes prior to the onset of symptoms. Evidence points to a disruption in mitochondrial bioenergetics as a factor in the development and progression of the disease. Diabetic nephropathy is a progressive kidney disease that arises as a complication of diabetes. 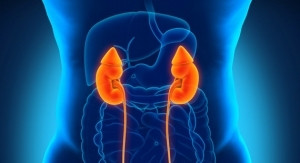 DN affects >100 million people worldwide and is the leading cause of kidney failure. In this current study, researchers determined that hyperglycemia has a detrimental effect on mitochondria. This was determined using the Bioenergetic Health Index (BHI), which gauges mitochondria function by measuring energy production. It is thought that as the BHI declines it acts as a biomarker of the patient’s overall ability to provide sufficient energy to fight disease. Mitochondrial dysfunction can affect the function of cells throughout the body resulting in a variety of diseases. Similarly, diabetes can cause an increased risk of other complications that affect major organs, including the eyes (retinopathy), heart (diabetic cardiomyopathy), blood vessels (peripheral vascular disease) and brain (dementia). This multi-organ impact of diabetes complications resembles mitochondrial genetic disease and suggests a systemic dysfunction in the body. Therapeutic strategies that promote the removal of damaged mitochondria from the cell and restore mitochondrial function may hold the key to treating DN before the progression of the disease.